A Self-Publishing Writer’s Role Model. Introducing . . .
. . . Erika Robuck. Three years ago when I was fishing around for what to do with my novels now that I was living so far from anything that could in any way resemble a publishing metropolis, I came across a few brave souls, pioneers, pushing forward on the vast prairies of self-publishing. One of those very brave souls was the lovely young woman you see on the left. I read her very first blogs about her self-published women’s fiction novel Receive me Falling and ideas started percolating in my head. A voice started whispering, You can do this, Jane. In those days before e-books, the perils of self-publishing were really daunting. Along with worrying about whether you were kamikaze-ing any future career you might wish to have or whether your book would ever be permitted to go onto the shelves of brick and mortar stores, you had to make several other decisions. Should you create your own publishing house? Should you go with one of the self-publishing firms? There were not a lot of people out there to help, and besides, you had to deal with utter contempt from anyone remotely associated with traditional publishing. And it cost big bucks. For the next couple of weeks, I’m going to write about the women who inspired me, who still inspire me. Today, it’s Erika. After the birth of her first son, Erika’s life-long desire to write surfaced, and during her son’s naptimes, she completed Receive Me Falling , set on a haunted Caribbean sugar plantation. Her son’s naptimes? Dear Lord. That in itself is inspiring, don’t you think? After many revisions, she began the agent-query, request-for-partial, dead-silence-plus-rejection level of Dante’s Inferno that all writers are required to go through. Her problem she began to realize from agent responses had less to do with the book than with the fact that she had no publishing credentials, no platform. 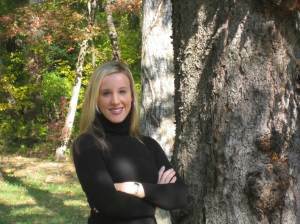 When her husband suggested she self-publish the book, she hesitated. That old stigma thing, again. Long story short: she DID self-publish (see book cover on right). She did create a platform for herself by blogging and getting book clubs to read her novel and so on. She did create a path for other writers far away from the center of the publishing universe, so they could move forward. Thank you, Erika. And it’s not just writers who benefit, it’s readers. There are stories you might never have heard, set in places that have never seen the light of day or the dark of printer’s ink—like my story set in Mexico, in the Condesa/ Roma neighborhood— had writers like Erika Robuck not done all this hard, scary work. To tell you the truth, I have only recently started thinking about these women who’d inspired me. I’ve been caught up in learning to pod-cast and blog and completing all the tasks necessary to get an e-book on AMAZON. It wasn’t until I started to get close to the end that I began to remember that distant past before e-books, before iPads and Kindles, before all the wonderful writing sites and book reviewing sites. In fact, I was reading one of my favorite book reviewing sites—Goodreads— when the book cover you see on the left popped up. Well, I’ll be darned if it wasn’t Erika Robuck. The novel-in-progress she’d been blogging about when I last checked in had found a traditional publisher—Penguin/NAL. It was something she always wanted, and she made it happen. If this sounds like an OPRAH moment, it is. Anyway, you can Google Erika Robuck and read about her books and her story on her own blog. She also has lots of book reviews on that blog and interviews with writers, so if you’re looking for something to read you can get a recommendation that way. There are going to be many, many new ways for writers and readers to connect in the future. This is especially important for voices that tend to be marginalized—women, minorities, people in rural and even suburban areas and even older people. Maybe ESPECIALLY older people. See next week’s blog about Elle Newmark who was 60 when she first published. You see, everything is changing, and I feel thrilled to be a part of this change. One small step for Jane . . .
What’s that dictum? Be the change you want to see in the world. Okay, so what are you going to change? 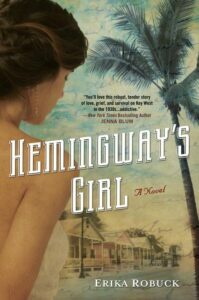 Tags : Condesa, Erika Robuck, Goodreads, Hemingway's Girl, Mexico, Mexico City, Penguin/NAL, Roma, Women's Fiction, Women's Fiction novel | Comments Off on A Self-Publishing Writer’s Role Model. Introducing . . .
What Do Veracruz, Mexico and an Eggplant Recipe Have in . . .
You’d have to wonder, right? Well, I’m up to my eyeballs in eggplants these days—eggplants and proofreading my novel Palace of the Blue Butterfly to put up on Amazon. It’s going slowly—the novel proofing—because it’s harvest season, and well, there are all these . . .
I’ve cooked them Italian style, French style, Turkish style, Indian style and I thought I’d exhausted all possibilities. But, I was wrong. Folks, I give you Berenjena al la Veracruzana .That’s Eggplant Veracruz Style in Spanish. It’s funny because I’m just getting to the point in my proofreading where Lily has taken off for Veracruz for reasons which are revealed when you read the novel. I had that wonderful part of Mexico in mind . . . plus eggplants. 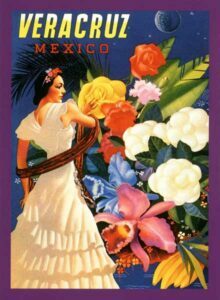 Okay, even I have to admit that Veracruz is less wonderful now because of all the Zeta Drug Cartel activity, which of course adds a certain tension to the novel and to Lily’s peregrinations in that locale. Why reading is so great. All the excitement; none of the life threatening parts. Veracruz is such an historically rich part of the country. If you follow along on my little blog history of Mexico that I post periodically, you’ll find out why. 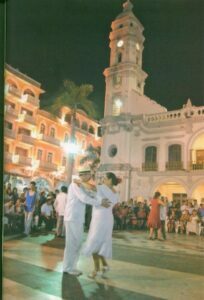 But meanwhile, I’ll tell you that Veracruz is famous for its coffee, vanilla, food, music and dance. Does one need more? There’s a wonderful Mexican movie called Danzon, which you might want to rent. It’ll give you a flavor of the city, its soul. Veracruz’s most famous dish is Huachinango Veracruzana— Red Snapper Veracruz style— the ingredients of which go perfectly with eggplant. Added benefit to making the recipe with eggplant? Its not only vegetarian, its vegan! 2 large eggplants, cut into 1.2-inch slices, heavily salted and allowed to rest for 30 minutes. While the eggplant rests, make the sauce. In a heavy-bottomed medium-sized saucepan with a well-fitting lid, heat the olive oil to rippling over medium-high heat. Add the 3 whole garlic cloves and cook, stirring, until deep golden (but not browned) on all sides; remove and discard. Add the 2 minced garlic cloves and the chopped onion. Cook, stirring frequently, until the onion is translucent, about 3 minutes. Stir in the tomatoes. Reduce the heat to medium-low and cook, stirring occasionally for 15 minutes or until slightly concentrated. Add all the remaining ingredients and cook, covered, for another 15 – 20 minutes, until the flavors are richly melded and it is as thick as you like. Taste for salt and add another pinch or two if desired (the capers and olives will contribute some). If using whole fresh herbs, fish them out of the sauce and discard before serving. Rinse the eggplant and dry thoroughly. Heat the olive oil until almost smoking over medium heat in a 12-inch frying pan. Fry the eggplant in batches until golden, about 3 minutes on each side and drain on paper towels. Transfer to a platter wide a little rim and pour the veracruzana sauce over. Alternately, you can place the eggplant on top of the sauce and garnish with parsley leaves. 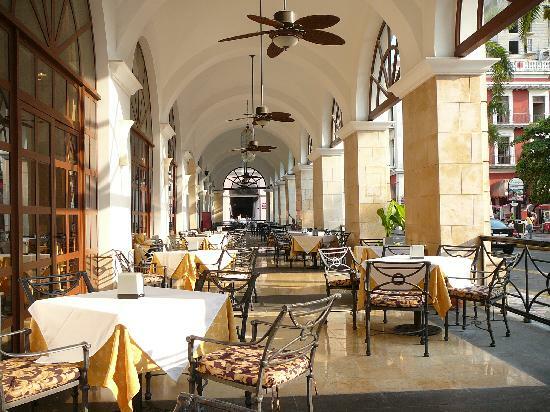 Now, grab a Corona and lime and just imagine you’re sitting under the fans of the Gran Hotel in Veracruz. Tags : Huachinango Veracruzana, Mexico, Veracruz | Comments Off on What Do Veracruz, Mexico and an Eggplant Recipe Have in . . . The Simple Country Life . . . 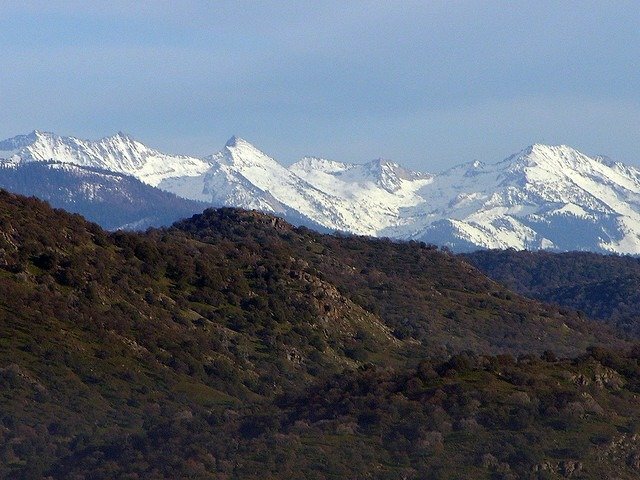 When I’m not writing about or traveling to Mexico, I try to live a simple life here in the Sierra foothills, but the month of August found me with a to-do list a mile long. Simple and country and life. Whoever put those three words together? First, there were the tomatoes. Bushels of them. I’ve made endless Insalatas Caprese. I’ve made gallons of sauce. I’ve plunged tomatoes into boiling water to make the skins easier to peel and canned them in water baths. I’ve pureed them with my old food mill— a wedding gift from forty some years ago. I’ve sliced, chopped, diced and strained. You name it. Anything that can be done to a tomato has been done. My old Wedgewood stove is so splattered with red that it looks like the scene of a crime. Friends in the city who visit this time of year will be sent home with baskets of fresh tomatoes and bundles of basil. It’s win-win for everyone. For those friends, here’s a little bit of advice. My Early Girl tomatoes are such a perfect combination of tart and sweet that it would be a crime to put vinegar on an insalata Caprese made with them. Besides, no Italian in his right mind would even consider it. Just a sprinkle of fine sea salt, fresh ground pepper, basil and a drizzle of Italian extra virgin olive oil and only a really good mozzerella will do. Now, there are the eggplants! More about them next week. I have a fabulous recipe for Sicilian eggplant with mint, oregano and hot pepper I’ll give you. A perfect antipasto. But here’s the real news! In the midst of a hot, busy August with friends visiting and major harvesting needing to be done, we got the news that Cemex had come back, that the Board of Supervisors Meeting would be held August 28, that we had to gear up for battle once more to try to save Jesse Morrow Mountain. We spent sleepless nights honing our arguments, reducing our speeches to the Supervisors to the minutes allowed. Two. You got that right, two. Here we are waiting for the verdict. We (old people) were up against the third biggest concrete and aggregate company in the world, up against their huge, corporate law firm. Hell, we were up against the damn Teamsters Union. I’ll never forget when this battle started seven years ago. A few of us gathered at a cattle ranch at the base of Jesse Morrow Mountain where we milled around dumping Cremora into our coffee, wondering how we were going to fight this huge, huge, huge company. By now we’ve all become experts in open pit mining and strip mining and landslides, groundwater pollution and California’s canal irrigation system. We know about aggregate need in Fresno County about ozone precursors and air quality. We know about the mining business, about Cemex’s debt ratio. Trust me. When I came up here to live the simple life, to write novels set in different regions in Mexico, to grow a few vegetables, to look at the dark night sky away from the city, I never counted on becoming a blogging, self-publishing, cattle-owning, rattle-snake killing, tomato canning, political firebrand. I never counted on doing battle with CEMEX! And the very, very last thing I thought when we started this seven years ago was that . . .
WE WOULD WIN at both the Planning Commission level and with the Board of Supervisors. Cemex will probably appeal or come back with something, but we’re committed to the fight. 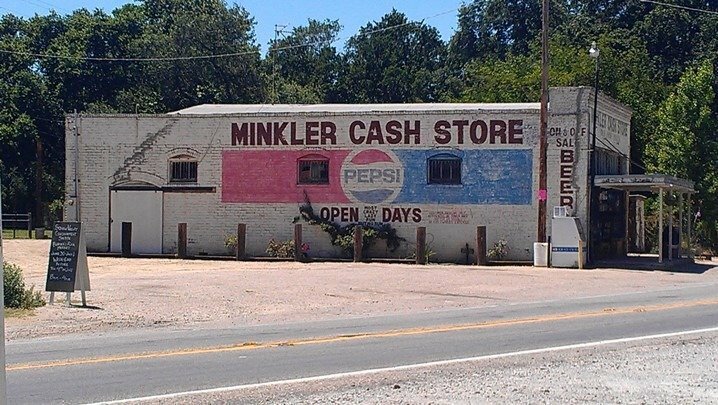 Now when you turn left just past the Minkler Cash Store— which looks pretty much like it did in 1920, by the way— this is what you’ll see. No strip mine, no pit mine, no asphalt factory. Just this. 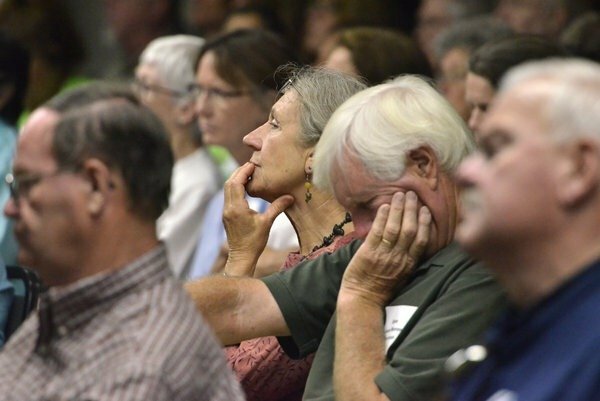 You can thank the old people, the Fresno County Planning Commissioners who voted with us and Supervisors Debbie Poochigian, Henry Perea and Susan Anderson. The old people and the young people of Fresno County send a huge thank you, Supervisors, for doing the right thing. Tags : | Comments Off on The Simple Country Life . . .